From toddlers to mothers, teddy bears are the favourite kind of soft toy that never leaves the clutches of a woman. Teddy bears are the only kind of toys that never fades away with time and age. These soft bundles of happiness always adorn a woman’s table top. These fluffy darlings do not cost you much as well. Is it so? Think again! These adorable teddy bears can cost you a fortune. Hard to believe but there really exists teddies that can give you have a run for money. Read on to know more about the most expensive teddy bears. 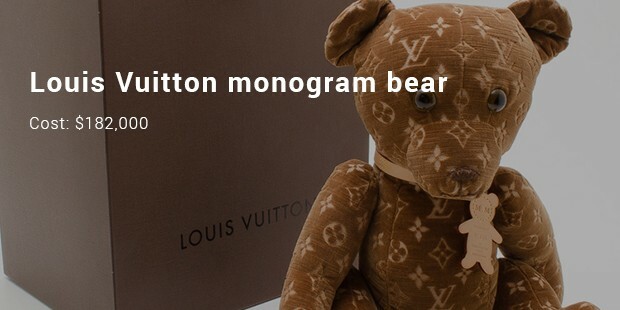 Famous fashion designer Louise Vuitton and the large soft toy manufacturer Steiff came together to manufacture the most expensive teddy bear in the world that looks rich as well as cute. This teddy was exorbitantly auctioned for $ 21, 00,000 and now kept at a museum is Jeju, Korea. 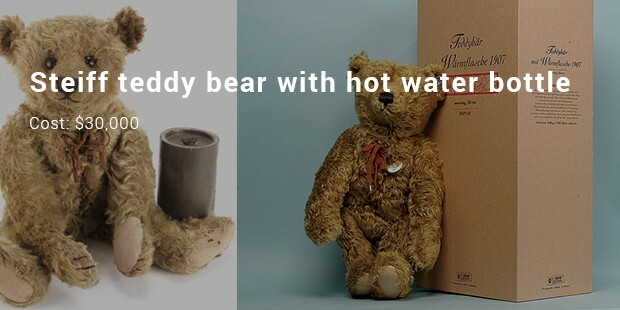 This teddy bear was built to mark the 150th anniversary of Louise Vuitton by the brand itself, the only self-manufactured teddy of Louise Vuitton. 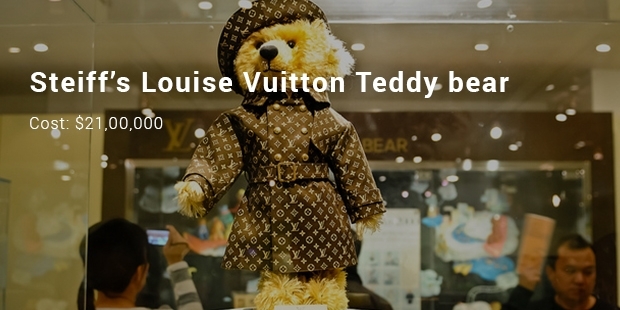 This almost 1and half feet tall teddy with the Louise Vuitton monogram was named DouDou. It was sold at an auction at Monaco for $ 182,000. This teddy is luxurious in its design. It has a mouth made of gold and its furs are woven out of gold threads. 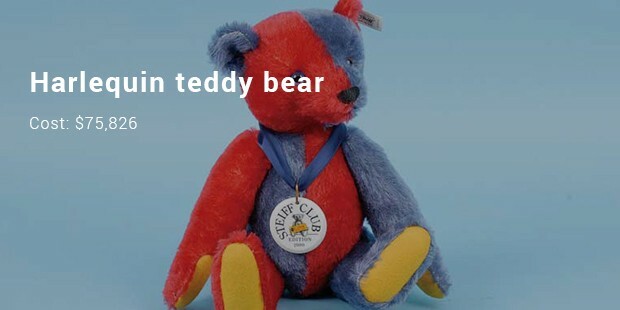 This was created in the honour of the 125th anniversary of Steiff. 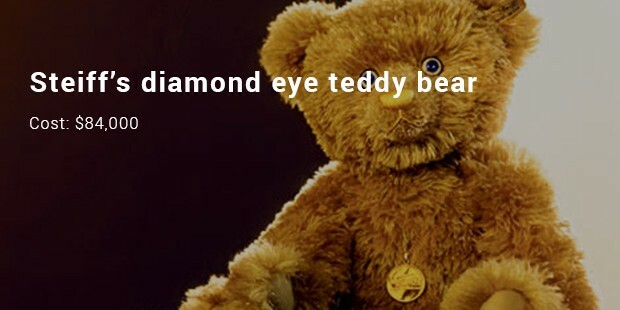 The glittering eyes of the teddy bear have been crafted out of diamonds & sapphires. Teddy bears are those fluffy huggable that every girl hugs and sleeps every night. Those are the emotional deposit box which they shout at and throw away in anger and also tightly hug in happiness. If these fluffy balls will be such fashionable ones, paying for it won’t hurt much!